The eNotes Blog: Does “AP” stand for “Absolutely Pointless”? Does “AP” stand for “Absolutely Pointless”? My 12-year-old son began his first semester in junior high this year. In July, all of us parents were rounded up for a three-hour information seminar. We visited each of the “Pre-AP” teachers’ rooms, a total of seven different potential course offerings. In every session, the message was the same: you enrolled your kid in ALL Pre-AP classes if your child isn’t a complete dummy. Pre-AP, it was (sometimes not) patiently explained, was necessary for your child so that he or she could take AP courses in high school, and then be eligible to skip introductory courses in college. The point, apparently, was to save us a little money and to (it was implied) feel a bit superior about our offspring. The same teachers who teach Pre-AP classes also teach regular courses. Although our “information seminar” was supposed to tell us the difference between the two types of classes, virtually none of the teachers even mentioned the regular classes. The Pre-AP was pushed so hard it made a parent feel like admitting your kid was as on par intellectually with the Honey Boo Boo clan for simply asking about the differences. As the evening droned on and on, I began to wonder: Whatever happened to teaching students at the actual level they are at, intellectually, emotionally, and socially? I wondered too, as a college professor myself, if AP is pushed so heavily, why is it that I find my freshmen so unprepared for the rigors of a college course? This week, the Atlantic published an article by John Tierney, a retired professor and high school AP teacher. Like me, Tierney wondered the same thing. So why this huge push into AP? Probably the biggest reason is that the College Board, which sets the standards and publishes the AP curriculum, earns over half of its earnings from AP courses. Which might be all right with everyone if high schools truly were turning out enhanced and advanced learners. However, in Tierney’s experience, and my own, they are not doing any such thing. Tierney investigated the many reasons for the failures of the AP programs, and some confusion about their promises. For example, while AP courses in high school may let a college freshman “opt out” of an introductory course, they often do not receive actual “college credit” for AP classes as expected. And when they do get to skip an intro class, many students find that their AP classes in high school do not remotely resemble the challenges of a true college class, and many wish they HAD taken the regular introductory college course. And what of the kids who fail to swim? It’s pretty grim, according to Tierney. He says that those classes get ever more full as the years wear on and some kids just can’t hack it, but they are not given the strongest teachers. Those teachers, of course, are reserved for the AP program. A lot of these non-swimmers are minorities, who will now face even more obstacles to higher education. Finally, and reinforcing what I have already seen in my own home, the push to cover so much material so fast leads to “rigid stultification — a kind of mindless genuflection to a prescribed plan of study that squelches creativity and free inquiry.” No wonder when I took my Freshmen out on a sunny day and we all did nothing but read Thoreau out loud to one another, they all looked stunned… then they slowly began to relax, smile, and enjoy the pleasures of learning. Sadly, high school teachers are not able to take their students down interesting paths of learning. After all… there’s a test coming up. I can’t speak personally on Pre-AP classes as they must be a new thing, not offered when I was in school, but I do remember the pressure of being in high school and being expected to take many AP courses. At the time I felt like they were challenging and would help prepare me for university. Looking back, though, I think they’re mostly a way for students to keep up with the competition of rising GPAs; gone are the days when a 4.0 GPA was exceptional–you’d need somewhere close to a 5.0 to be considered for an Ivy league school these days. The only way to do that is to fill your course load with AP classes. And now, the only way to prepare for AP classes, apparently, is to take pre-AP classes. I don’t know when it ends. What’s the next step? Throwing children in to classes that teachers know will be above their competence level just seems backwards to me. It’s not acceptable to shrug your shoulders at the fact that some will sink, not swim. These kids will only end up feeling dejected and will end up hating school. 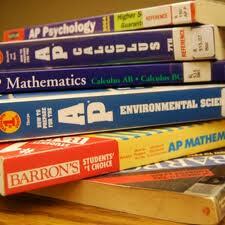 I still feel like AP classes are a good thing to be able to offer to high school students who desire a challenge. Should they be expected of all students? No. Will they miraculously prepare kids for college courses? No. As much as high school students might feel they’ve taken a college-level course, they’ll have no idea what one actually is until they sit down in a college classroom, where participation is geared much more towards critical thought than memorizing for an exam. That last part that you so rightly identify, “geared more toward critical thought” is spot-on. In the upcoming weeks, my freshmen are going to do their first very in-depth research paper. While my first papers as a undergrad were 8-10 pages, I quickly learned that was far too much for these kids. I reduced the requirement to 5-7 and they still groan. The avg answer? 2-3 hrs. This is a class FULL of previous AP students.